July 2018 is expected to be one of the good times for Kollywood this year as plenty of promising movies are in the line-up. Mr.Chandramouli which released on 6th July failed to satisfy the audience. And the public is depending to spend a happy time with the other movies. 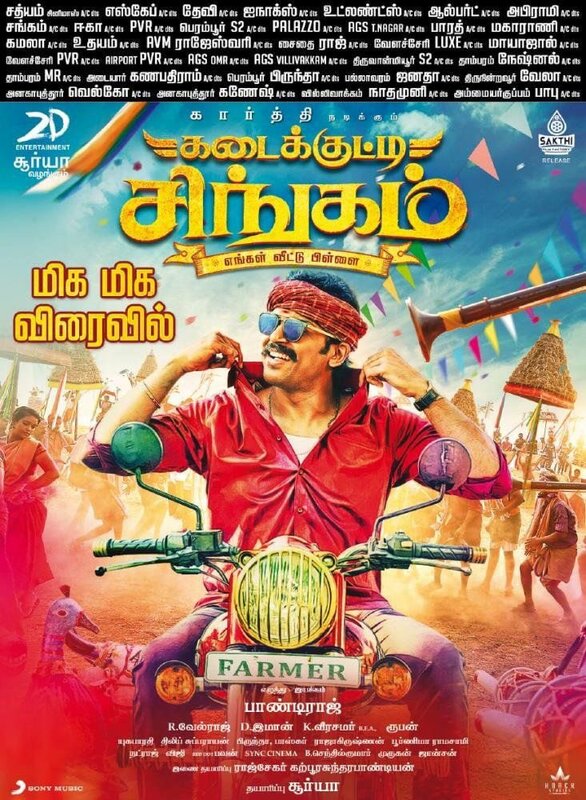 Highly anticipated Shiva's spoof entertainer Tamizh Padam 2 and Karthi’s rural drama Kadaikutty Singam is confirmed to release on 12th and 13th July respectively. However, the dates have been finalized, both the producers are waiting to receive the hard copy of the censor certificate. As only after that, they are allowed to announce the release date officially. Today, being a working day, both the team should get a clear picture from the concerned department.